This is not your brother's LARP group. H&F tracks down the founders of Dogme 99, an improvisatory school of live action role-playing modeled after Lars Von Trier's Dogme 95. You and twelve other guests show up to a dinner party. You're each given a name and an explanation of how you're related to your fellow guests. Maybe you're gathered for a funeral, or a family reunion, or maybe it's just a normal Sunday dinner. Everybody eats and hangs out for four hours. The rest – whether eyes are rolled, some more wine is consumed, or the table is flipped in a moment of blind rage – is up to you and everyone else to invent. This scene is called "13 at the Table," and it's the earliest-known example of a skeletal, improvisatory school of live action role-playing that's spent the last fifteen or so years developing alongside the fantasy combat-driven model most people think of when they hear the term "LARP." "Live action" and "role-playing" can describe just about everything that happens to anyone on a given day, so it's strange that the term "LARP" is typically reserved for that stupid "lightning bolt!" video and people who use the word "polearm" in casual conversation. Over time, though, alternative perspectives have emerged – perspectives that tend to have strong thoughts about how effectively hurling beanbags and repeatedly shouting names of spells might allow one to play a role. "We wanted to kill the game," says Eirik Fatland, a Norwegian interaction designer who has spent over twenty years creating, participating in, and theorizing about these types of forward-thinking LARPs. In 1999, he and some others started a movement called Dogma 99. Modeled after Lars Von Trier's Dogme 95 and Jerzy Grotowski's minimalist, impulse-driven notion of a "poor theatre," the movement included a ten-point "vow of chastity" intended to maximize LARP's dramatic immersion, while removing pretty much everything else. A live action role-playing game ("LARP" or "larp") is a form of role-playing game where the participants physically act out their characters' actions. The players pursue goals within a fictional setting represented by the real world while interacting with each other in character. The earliest recorded LARP group is Dagorhir which was founded in 1977 in the USA and focuses on fantasy battles. It is forbidden to create action by writing it into the past history of a character or the event. No character shall only be a supporting part. LARPs inspired by table-top role-playing games are not accepted. The playwrights shall be held accountable for the whole of their work. Furthermore, I swear to regard myself as an artist, and any LARP I write as my "work". I stand open for criticism and wholesale slaughter of my works, and promise to apologise to my players for all that is imperfect in the LARPs I write. My highest goal is to develop the art and medium of live-action role-playing. This, I promise, will be done through all means available, and at the expense of good taste, all conventions and all popularity amongst the so-called LARPers. Thus, I take the Vow of Chastity. While far from an unbroken ideological coalition, ("We disagreed about everything! That was part of the point. [...] At some point we just had to freeze the discussions and publish the thing. 'Dogma 99' had a better sound to it than 'Dogma 00'.") Fatland and his cosigners all objected to fantasy LARP's "superficial" and goal-driven structures taking away from the psychological and emotional truths they considered to be at role-playing's core. "We wanted to liberate LARP from these vestiges of gameplay," he says, "and see what might happen when we cultivated all the experiential stuff." 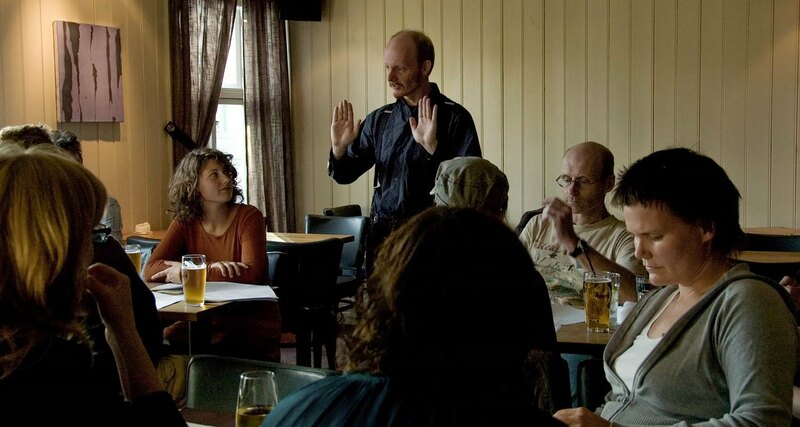 In the wonderful artistic tradition of dramatic, absolutist gestures, the group drafted a manifesto and "had a grand launch ceremony at a bar in Oslo, with an original edition being signed by hand, and some 50-60 people there to observe, cheer or jeer." A strong emphasis was placed on the vow's participants creating Dogma LARPs of their own, and within a few weeks "13 at the Table" had been staged for the first time. 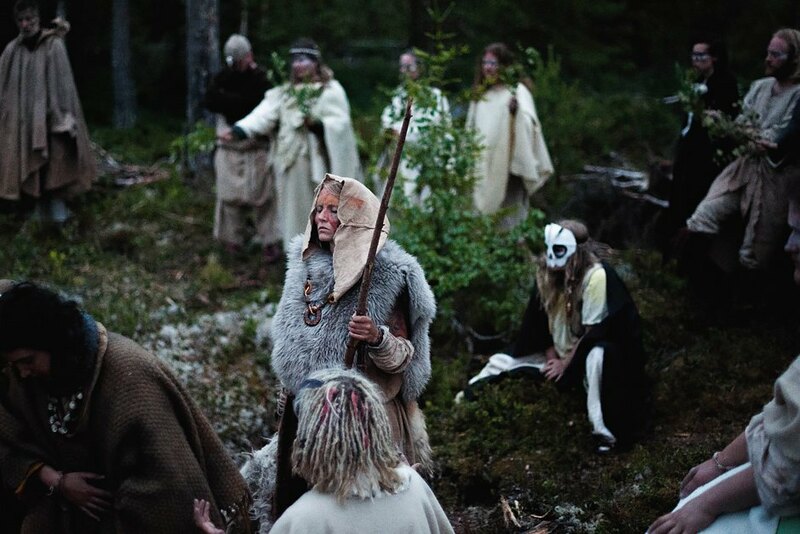 While this kind of experimental LARP had been undertaken before, Dogma 99 and the ensuing activity galvanized something in the Scandinavian scene. Things like the Finnish Turku Manifesto, a set of rules even more essentialist and separatist than the Dogma vow (section two of the Turku Manifesto is titled "The styles: Good and Bad"), appeared, and a line was drawn in the sand between the progressives and their competitive "gamist" counterparts. 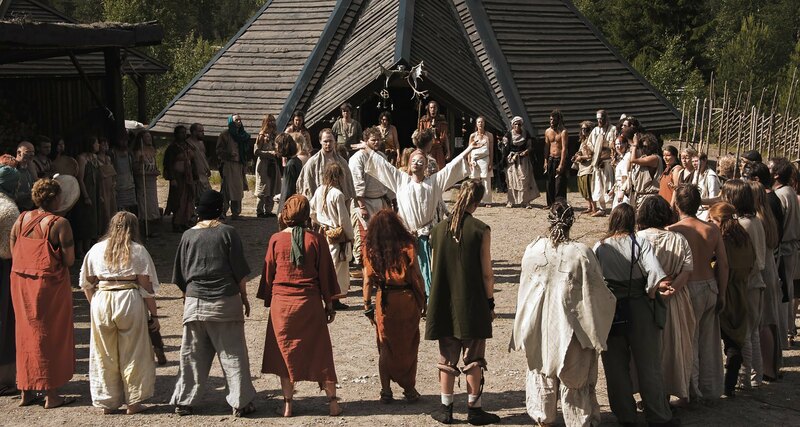 The cosigners of the Dogme 99 vow all objected to fantasy LARP's "superficial" and goal-driven structures taking away from the psychological and emotional truths they considered to be at role-playing's core. "Shouting out what damage you do during a sword fight mystifies us completely," says Teresa Axner, co-owner of LajvVerkstaden and Swedish LARPer of about twenty-five years. "Why would you want to break the illusion? A lot of us are completely disinterested in whether our characters succeed -- we're not competing, we're telling a story." Axner, 35, wasn't one of the original Dogma devotees, but she's been practicing a style of LARP related to the vow's ideas since 2008, when some friends introduced her to Dogma's core concepts. "By the time I actually read the manifesto, its ideas had become quite familiar to me," she says. "Basically, I felt that it was common sense." Axner teaches and evangelizes LARP professionally, and while her enthusiasm for it is palpable, her measured ideas about its appeal and benefits are a click or two removed from the young turk vibes of the vow. For example, she's quick to point out that there are plenty of avid fantasy-combat and vampire LARPers in Scandinavia just like there are in the US, but also that "a lot of mainstream fantasy LARPers in Sweden describe themselves jokingly as being into 'misery LARP'." Axner's holistic approach to teaching and learning LARP has given her some insights about what different types of people might look for in the different types of role-playing: "In my mind," she says, "you have two different sides to LARP: One is building fair systems, and another is the 'play pretend' part of it. Nordic players often want to build a world that seems real to the eyes and ears. It's a style ideal referred to as 360, as in 'turn around 360 degrees, and everything you see looks real.' My impression is that US LARPers often want a world that functions like a real world, where you can function realistically as whoever you want to play." When asked about the LARP community's reaction to the Dogma vow, Fatland responded: "The funny thing is that the most anti-gamist stuff... caused an uproar when the Dogma manifesto reached Anglo-American LARPers. Locally, though, we were accused of kicking in open doors with those parts of the manifesto." The opposition between these two styles ends up feeling fundamental to the existence of LARP itself. LARP can lend itself equally well to world building or wish fulfillment, depending on what its participants bring to the table. What a person expects out of a fantasy structure like LARP probably says quite a bit about the way they approach real life, too. Given that so much LARP revolves around gaining perspective on the past, Axner's "two different sides to LARP" can be interpreted as opposing ways of viewing history. To the gamists, the drama and appeal of LARP (and thus history) seems to rely on dramatically divining its winners and losers, its great men and its lowly knaves. The gamists' style suggests that history pivots suddenly, during cataclysmic moments and because of cataclysmic characters, and that recreating those types of moments and characters is the most meaningful way to inhabit history itself. The Dogma adherents' style, by contrast, suggests that human experience is more of a gradual accumulation of circumstances and details. Their LARPs suggest that, like the vow itself, epoch-defining moments in history are just outgrowths of tectonically-shifting ideas and identities, concretizing and giving name to what was already there. Using LARP to emotionally inhabit a character with the highest possible fidelity can give way to unfamiliar outgrowths of thought and experience, which can in turn give us the tools to understand history--and each other--from a less abrupt, more organic point of view. Says Fatland: "It turns a lot of these other experiences, the experiences of living in the midst of a story or living another life down to finest detail, are actually more interesting than the cheap thrills and mental challenges of gameplay. They can have a powerful emotional and intellectual impact, inseparable from the memories of actual, lived experience." It was set at an asylum reception center. Participants portrayed refugees from fictive inter-Nordic Wars, who had applied for asylum in a peaceful, democratic country on the Balkans. We took the prohibition against larpwright interference very seriously, and hid the organizer team in the neighbouring cottage for 4 days, as the LARP was being played. On the morning of the third day, we look out the window, and see a number of bare-chested men engaging in a snowball fight. We had no idea what they were doing, or why. Turns out that the Russian LARPers who portrayed the Orsinian reception centre personnel had decided to teach tolerance to the cold as part of a class on Orsinian culture, preparing the refugees for the values of their host country, and also to mock refugees complaining about freezing at nights. “Real Orsinian men," they insisted, were not afraid of the cold. We hadn’t said much on the culture of Orsinia. But here was something that emerged out of the roleplay we had started. The supreme demonstrations of the weaknesses of conventional LARP are the commercial products of the Anglo-American gaming industry. By aiming at a lowest common denominator, these publications achieve nothing beyond the infant stage, which has long been surpassed in quality and diversity by LARPers who have innovated independently. As the Dogma and Dogma-affiliated LARPs went on, their promises of total immersion in the scene became more and more accessible. The Larps grew more and more ambitious in both scale and content, to the point where any and all restrictions to LARP as a form began to be called into question. "There is a lot of experimentation," says Fatland. "Some of the most interesting larps these days are run in black box stages, with abstract scenography and sound and light, and non-continuous play and advanced dramatic mechanics." Soon, these liberated scenes began to attract the high-minded worlds of performance art and academia. 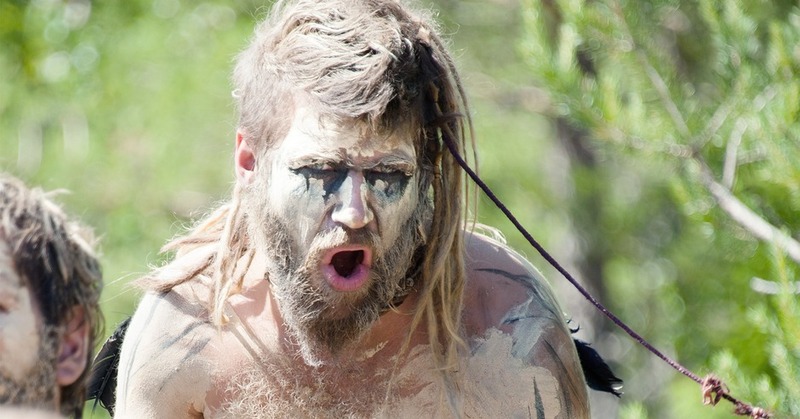 Artists like Adam James and Brody Condon began creating works inspired by LARP. According to Fatland, "The discourse that was born back then has to date spawned twenty-plus books and a handful of academic careers." Since then, a new wave of LARPers--ones who might be less aware of the hegemony that birthed the vow but who are also free of its restrictions--has gradually been ushered in by advocates like Teresa Axner. "I get super, super excited about beginners getting new stuff off the ground, regardless of what it is. I feel very responsible for the community being inclusive and having low thresholds," she says. Dogma 99's goals of establishing LARP as a form and leveling its stylistic and participatory playing field have been achieved, and LARP is more inclusive, more expansive, and weirder than ever. "I think the perhaps biggest change the manifesto accomplished," says Fatland, "was in changing the perception of larp, amongst larpers, from that of a hobby, fan activity or 'genre' and into the idea of a medium, art form or creative form that includes but is in no way limited to fandom." Instead, it's become shorthand for people working together to creatively interpret consciousness, demolish what's left of the audience/performer barrier in drama, and better understand themselves and each other. Teresa Axner puts it well: "It's just so, so amazing to see a collaborative creative process between god knows how many people to make a whole world - and not for money or grades either, but just because it's awesome." That LARP is a meeting between people also implies that a LARP is not the sum of all character descriptions and handbooks, but rather the sum of everything that happens from a LARP begins until it ends. LARP is action, not literature.